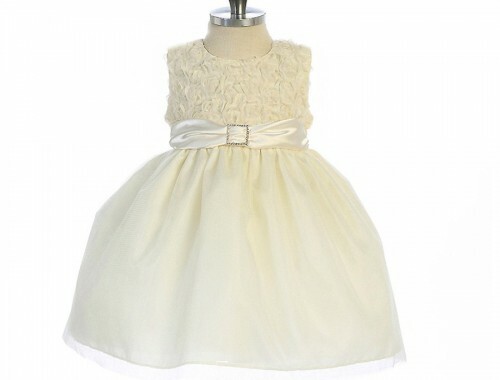 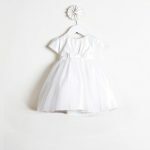 This gorgeous christening dress is definitely for a little princess. 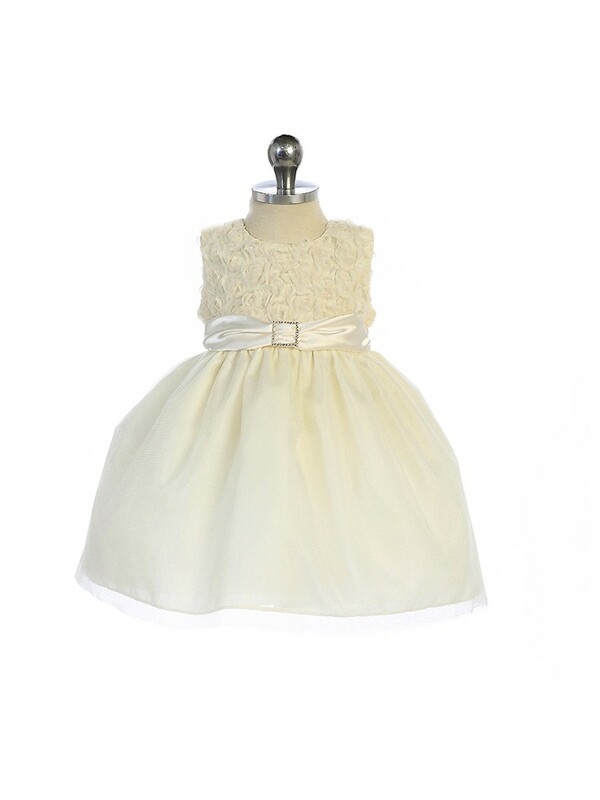 Ideal for a christening, naming ceremony or christening after party. 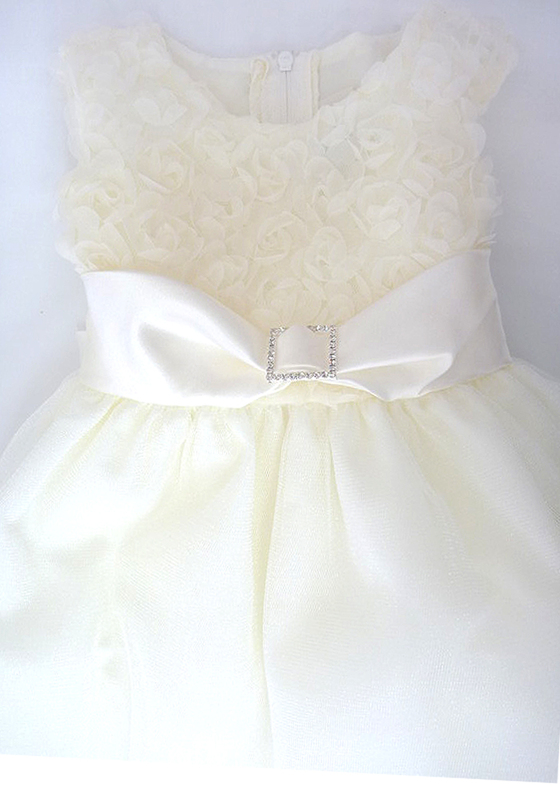 This dress is just too beautiful. 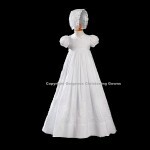 The waist is highlighted with a sash and accented with a brooch.